Hindustan Motors have announced that they will launch an automatic transmission on the Pajero Sport next fiscal. The announcement, reported by Economic Times, was made at an annual general body meeting of the company yesterday. The Pajero Sport since its launch in March 2012 hasn’t received any updates, this would be the first addition in the last couple of years. It was introduced with a 2.5-litre oil burner churning out 177bhp and 400Nm of torque connected to a five-speed manual gearbox. The automatic gearbox will be a five speeder available in global markets with the SUV and will be launched by the end of the fiscal year. This SUV, essentially, is the second generation Mitsubishi Challenger brought in to replace the second generation Pajero in India. While it’s a common practice to have two or three different names for global vehicles, the Pajero Sport has five different names worldwide. 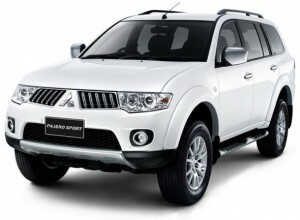 It is a cheaper alternative to the original Mitsubishi Pajero/Montero in most markets. 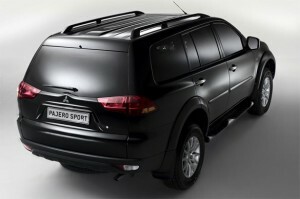 Last July an anniversary edition of the Pajero Sport was launched. The Outlander, Cedia Sports and Evo X have been discontinued for Indian market. Mitsubishi currently offers only the Pajero Sport and Montero in India. India will get the Pajero Sport Automatic with the ‘INVCS-II 5 speed auto with sportronic’, mated to the same diesel engine. The car is already on sale in Thailand. Mitsubishi plans to launch the 2014 Outlander, along with the Pajero Sport Automatic for India this year.